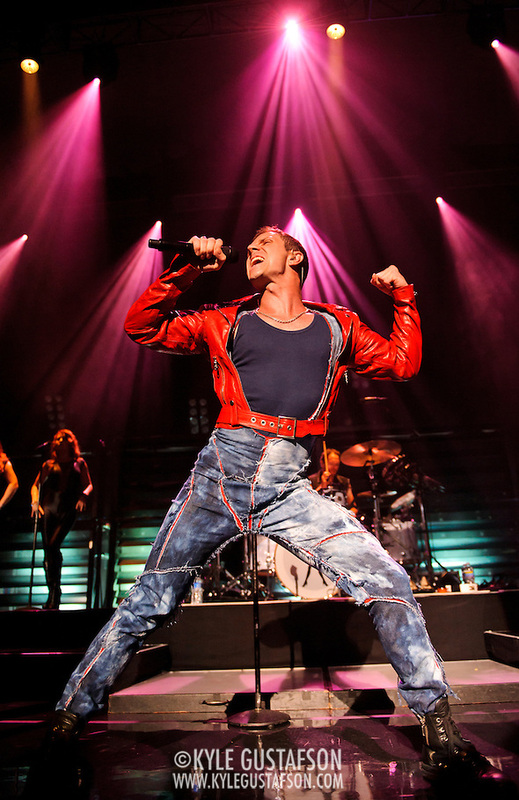 The Scissor Sisters are a fun shoot no matter when or where they play, so I jumped at the chance to shoot the band at DAR Constitution Hall. They are always energetic and above all, very photogenic. As always, the restrictions at DAR come in to play with these photos. Photogs are forced to shoot from the aisle, which means the very center of the venue, so it’s impossible to follow the band from side to side on the stage. Ultimately this means you are stuck with bad angles for much of you allotted shooting time. That said, lighting for this show was much better than usual for DAR, so I’ll take it. Nothing unusual as far as my set up for this show, My Nikon D3 and D700 with 24-70/2.8 and 70-200/2.8 VR I. Given the light falloff towards the sides of the stage, I spent the shoot focusing on Jake Shears and Ana Matronic, since they were lit by spotlights.